Item # 315971 Stash Points: 5,495 (?) This is the number of points you get in The Zumiez Stash for purchasing this item. Stash points are redeemable for exclusive rewards only available to Zumiez Stash members. To redeem your points check out the rewards catalog on thestash.zumiez.com. 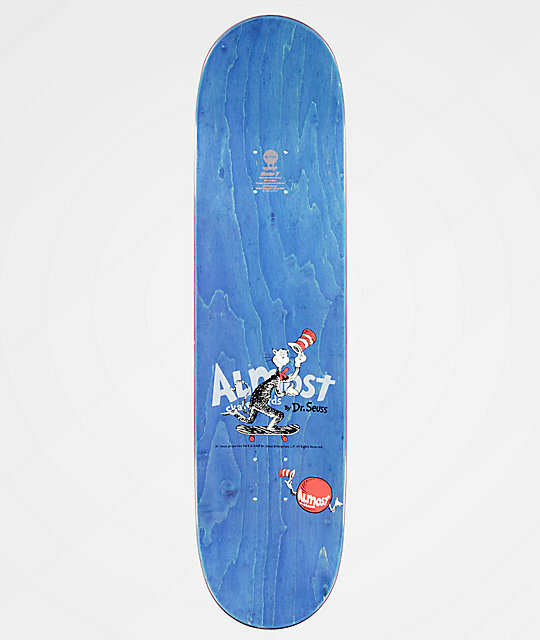 If flip tricks are your passion and skating your life, then reach for the Almost x Dr. Seuss Youness R7 8.12" Skateboard Deck to shred things just right. With moderate concave to step up your flip tricks, you'll be flicking around from plazas to vert lips. Nice and wide kick tails give controllable stalls, or even slides if you've got the gall. So no matter your style, your skill set or size, grab this pro model deck and your new skills will be realized. 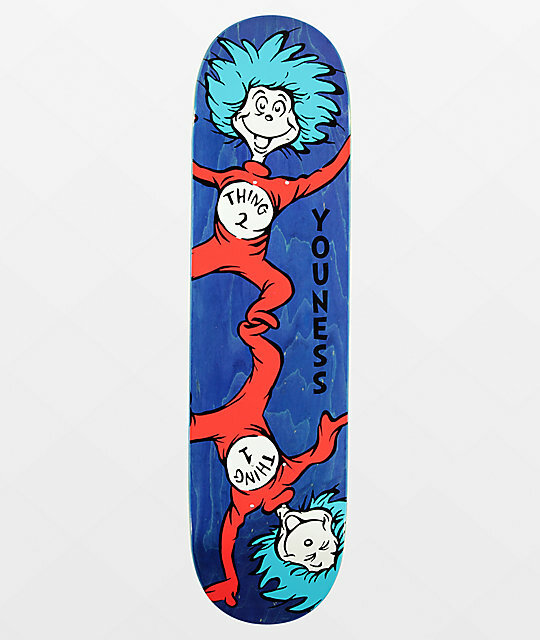 Youness R7 8.12" Skateboard Deck from Almost x Dr Suess. Signature Almost and DR. Seuss collaboration. Signature Youness Amrani pro model. Moderate pitched, wide kick tails. 7-ply resin epoxy glue and single press deck press construction for lightweight durability.